Fans of the former Heisman Trophy winner were glad to see him get back into the game when he signed with the Hamilton Tiger-Cats. It didn’t matter that it was the CFL and not the NFL—he would be playing football again and that was what mattered most. But there has been one catch in the plan. The Tiger-Cats had a pretty good quarterback already in Jeremiah Masoli. With how Masoli has been playing, there is no way Manziel was going to see the field. But now that he’s been traded …. 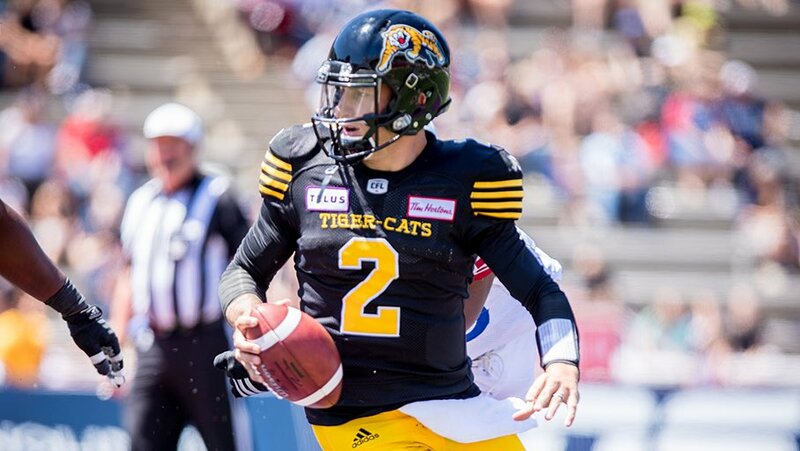 The Tiger-Cats announced Sunday they had traded Manziel and offensive linemen Tony Washington and Landon Rice to the Montreal Alouettes. In exchange, they’ll receive defensive end Jamaal Westerman, wide receiver Chris Williams, and first-round picks in 2020 and 2022. But it is not just that he got traded that is significant; it’s who he got traded to. Montreal is last in their division with a 1-4 record. They also happen to have one of the worst offenses in the CFL and are coached by a man familiar with Manziel—former Texas A&M head coach Mike Sherman. Sherman recruited Manziel and got him to come to Texas A&M. But Manziel redshirted in 2011 and never played for Sherman. Conditions may look less-than-optimal for Manziel with Montreal in last place in the division. But the Canadian Football League only consists of two divisions comprised of nine teams. The season is 21 weeks long but contains three bye weeks. If Manziel is able to get up to speed on the playbook quickly, he could get the opportunity he’s been dying for. In five games, Montreal has played three quarterbacks, Drew Willy, Jeff Mathews and Matt Shiltz. They’ve combined to lead the team to a CFL low-69 points so far this season. It’s safe to say that Montreal will be looking to get Manziel into the game sooner rather than later. But even if he does find that old ‘Money’ Manziel magic, he’s going to have his work cut out for him with Montreal. While the offense has scored a league-low in points, the defense has given up a league-high (148). It appears that fans will not even have to wait to see him play. Shortly after announcing the trade, Montreal tweeted an invite to fans for his first game this Thursday. They’ll be facing the 3-2 Edmonton Eskimos.